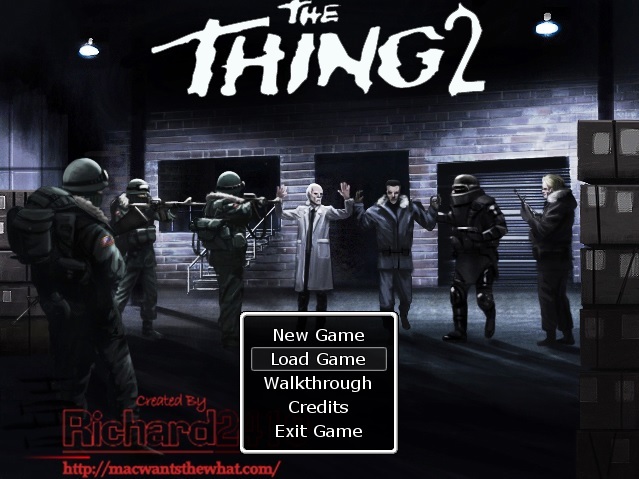 videogames | Mac Wants The What? Summary of updates to game since the last post. New In Game Menu created using Galvs Army Manager Script. 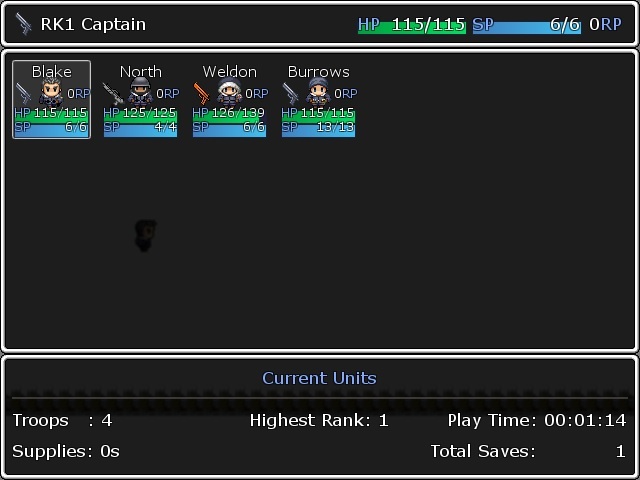 This should make it easier to view your units especially when you have more than 7 of them. Drawn 80% of the Ship Story Maps, Nearly done there. Ship Story has also been renamed as “Prequel Mode”. 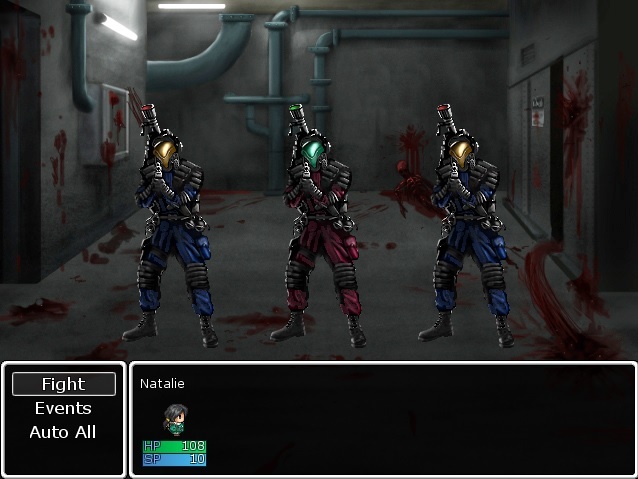 Updated some of the enemies with new Sprites such as the Violater and Subject #9 which were originally just color swaps. 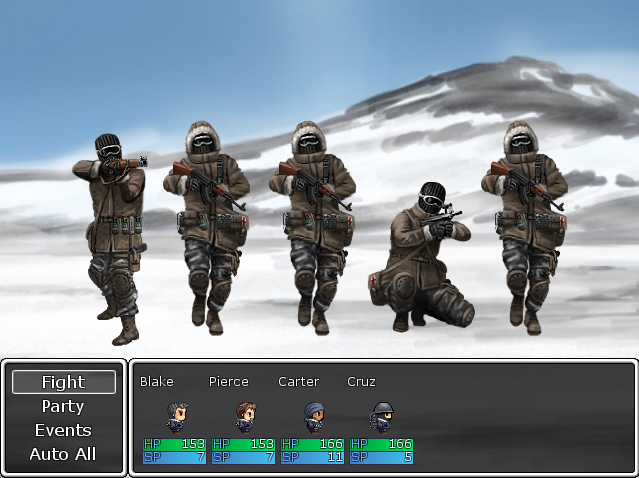 Added a new “Mode Selection” Menu into the game from which you can choose Story Mode, Prequel Mode, Survival Mode etc. 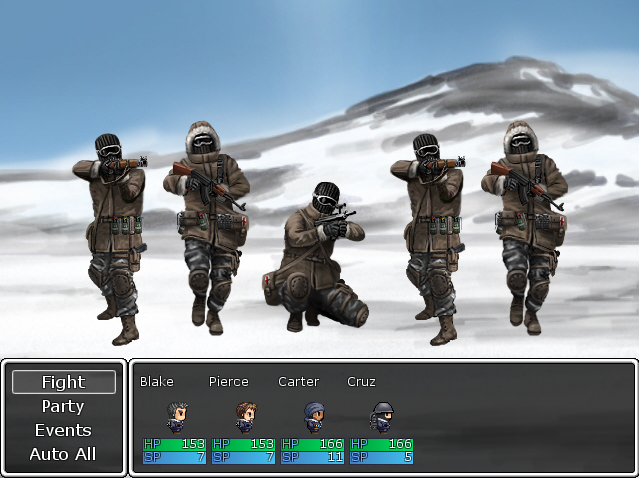 Its now all in one screen instead of broken up and little descriptions have been added to the menu to make it a bit more user friendly especially for first time players. I believe that I have reduced if not removed most of the in game lag entirely. Since I bought a new CPU I was still recording 11-20 FPS (Frames per Second) when the maximum you should get with RPG Maker is 60. 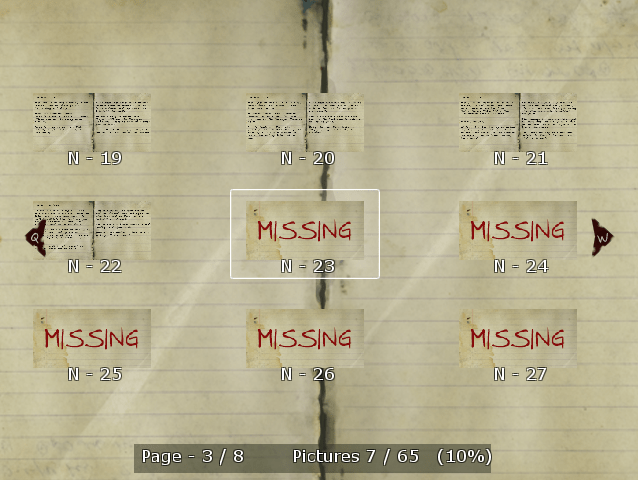 After some investigation I found that the KredEx script that manages passive skills was the issue. I have removed that and replaced it with a script by NeonBlack which does the same thing. This means that I am now getting between 56-59 FPS on my CPU and I hope that players with lower specs will experience a boost in game performance in the v2.0 Release. Finish mapping the ship areas, on the last deck of the ship now (B5). Write Voice Acting Scripts and Get lines recorded. Get Jose to complete the Artwork for the Ship Story to help describe scenes. 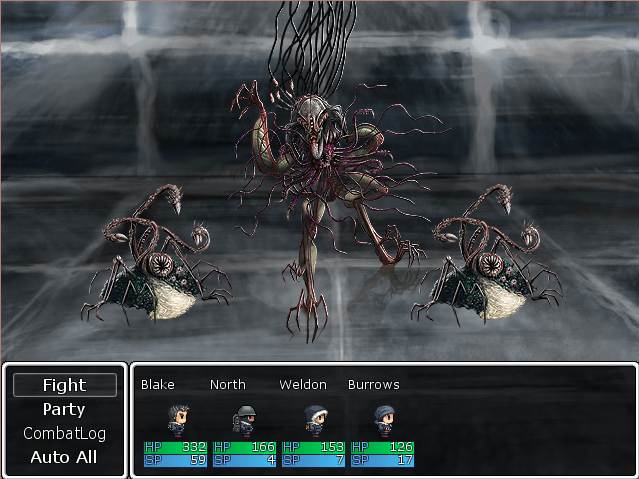 Build up Prequel Mode, Test it and make sure I deliver on the features and make sure it is consistent and randomized across random play-through(s). 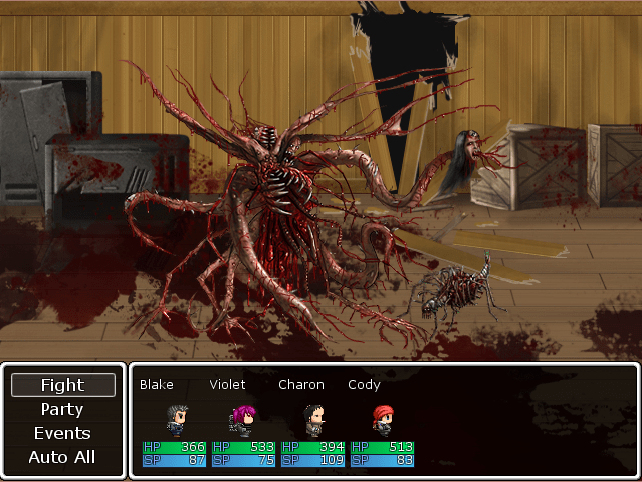 Finish up loose ends in Story Mode and make sure I test stuff to make sure content works. 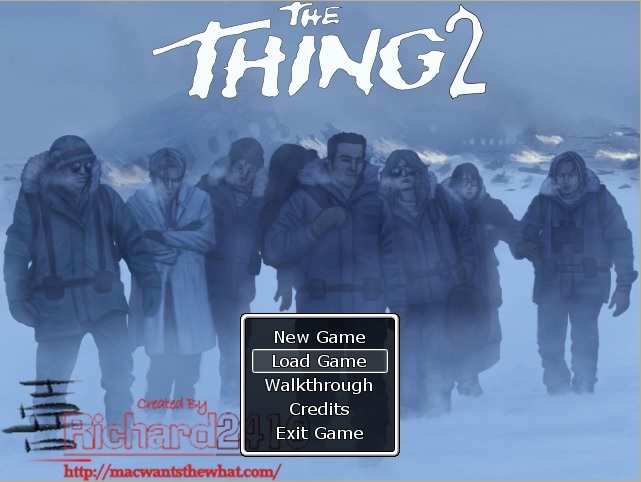 Add MacReady to Story Mode in a way that is engaging, relative to the story and lets you control him as he “Retells” his story to you in a player-choice flashback kind of “Choose Your Own Adventure” theme where you can change certain events of Outpost #31. His story will also feature the aftermath of Outpost #31 (Inspired by the Comics) and all this will result in going back to OP #31 and “finishing off” Blair-Thing. Test the whole game, all the way through in every mode to make sure I can complete it and it all makes sense and all the unlockable stuff works etc. Finish off the Online Guide and add it to the Main Game Menu, Most likely can update post-v2 release. September 2015 is my Deadline. I hope that the content I have been able to create in the random scattered time I have had since the v1 release (Nov 2013) is worth the wait. Its been fun trying to enhance the game and build upon this release. This is just a quick(ish) post of what I’ve been doing so far and what I have planned. Weapon Rehaul, with equippable Mods instead of crafting weapons with mods. Lots of minor fixes to the game (something like 100+ read ‘version history’.txt when game released), difficulty slightly increased, survival rate… decreased. Bonus features like “Iron Mode” and the Jeep Sub-Boss appearing on a NewGame+. Collectible Object Side Quest in Story Mode. The Inclusion of a Friendly Outpost in Story Mode with Random Events, lots of NPCs (SideQuests) and a reputation system exclusive to the outpost. Extra Content: A short mode titled “Pierces Story” which tells some missing parts of the game, completion unlocks small rewards in the main game and a short side quest in the story mode revolving around Pierce. 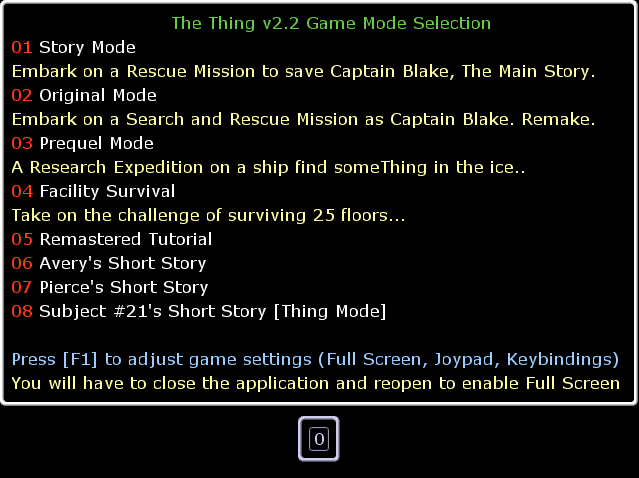 Extra Content: A short mode titled “Thing Mode – Subject #21;s Story” This tells the story of Subject #21 who escapes from the Submersible, it seems short but is quite fun being the enemy of the game, Completion can unlock Subject #21 as a boss in story mode; If this is popular and there is request an additional thing mode can be added but I’d like someone to write me some ideas first! Remastered Tutorial: The tutorial has been redone to make it a bit easier for new players. 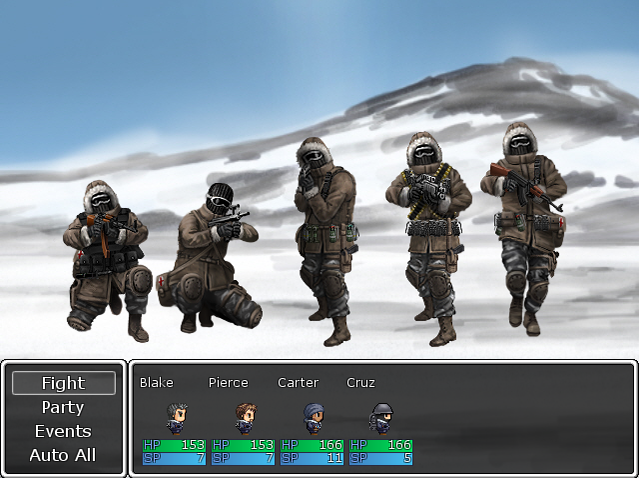 We are in the process of redoing all the character sprites and adding some additional artwork to the game. 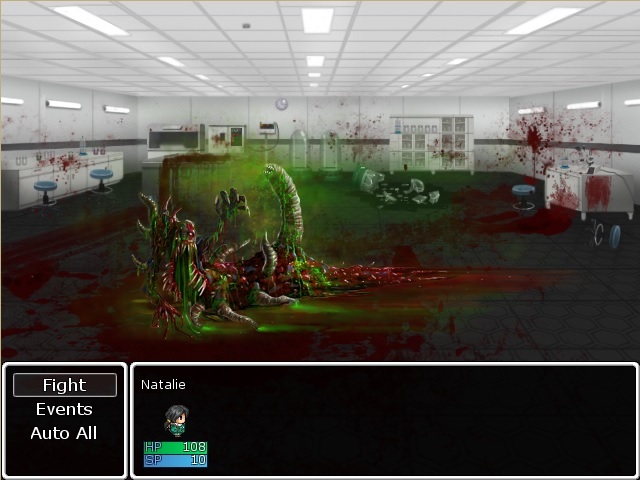 I want to include an online guide/walkthrough for unlockables etc but I can probably work on that after release. I will include a link to it somewhere in the game (Not sure where yet). Extra Content: The Untitled “Ship Story” which part of me wants to name Harbringer Down as a joke, anyway its very ambitious on my part, making you survive so many days on a doomed ship before rescue. Managing little supplies and even smaller number of npc allies. There will be a lot of timed elements to this game with the inclusion of extra enemies, voice actors for the majority of characters and artistic cutscenes. I’m also included a two endings, one is secret and actually changes the outcome of story mode by revealing yet another random plot twist. 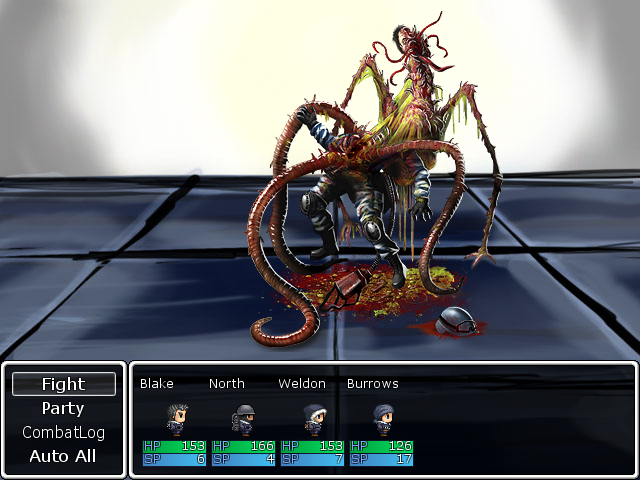 Asides from this I got some minor features to do like extra side quests, extra secret sub-bosses, I can now have the flare light time out, I want to include ‘Starvation’ and ‘Fever/Sickness’ in the game too. The Idea for Fever/Sickness is that its either caught from Cold Exposure or from combat (slight chance, like Disturbed/Insane). 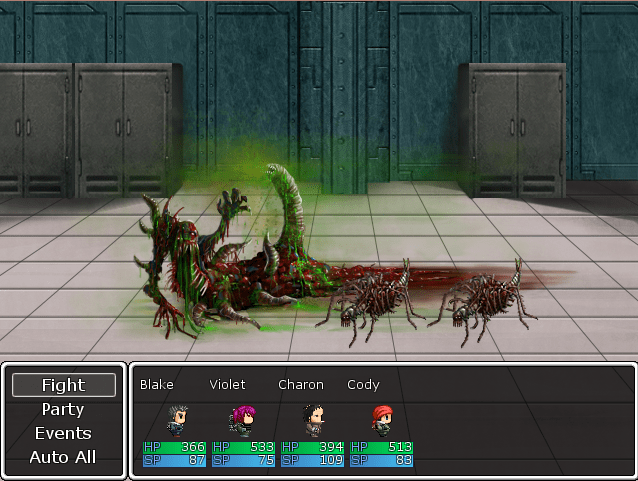 Having Fever/Sickness would hinder a character slightly and destroy sp over time. It would only be treatable via the Antibiotic kit or higher level medi-kits. Starvation would be treatable with food, and randomly occur in random people over a period of time. Just as a layer of difficulty/managment it would reduce Health slowly. Starvation will likely appear as an additional option in the difficulty menu. On another note I aim for a September 2015 release of the v2 Public. I leave one of my jobs on 31st March so my only concern is artist/voice actor time constraints, but we shall see how things progress. Thanks for waiting, Domo Arigato Gozaimashita!